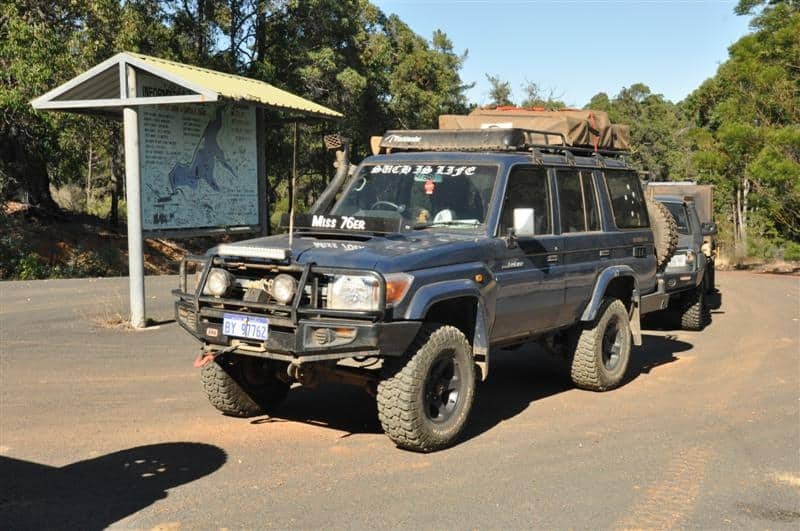 In Australia, if your tyres stick outside of the guards on your vehicle, it is deemed to be illegal. Tyres will stick outside of the guards if a larger width is fitted, or the offset of the rim is decreased. 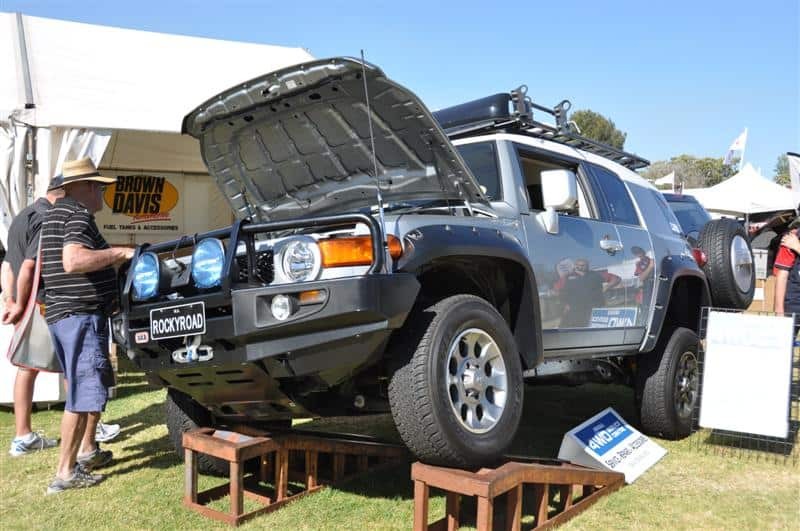 Asides from the legal requirement, fitting 4×4 Flares is a good idea because it protects your paintwork and panels. For those who have been four wheel driving on gravel roads without flares, you would know exactly what I mean. Rocks are flicked up off the tyres, and they go straight up and into your panels. Asides from the paint chips, you risk flicking rocks up at other vehicles as well. There are a number of different flares available. These include fibreglass, garden edging, plastic, flexy flares and assorted variations of rubber. A lot of four wheel drives come standard with fibreglass flares, but if you fit wider tyres these are not going to be big enough. The type of flares that you fit usually comes down to the width that you need to cover, and your budget. These probably look the best, as they are a factory fitting on many four wheel drives. They are usually colour coded to your vehicles paintwork, and as a result are expensive. You can be looking at $150 – $300 to purchase these, and considerably more if you have to get them custom made. A lot of people fit double flares (bolting flares onto the existing fibreglass ones) in order to get the extra width. For the more popular four wheel drives, you can usually purchase plastic 4×4 Flares, that bolt straight through the side of your panels. These are particularly common on Jeeps. Again, they are not the cheapest option, but they look good and tend to take a bit more of a bashing than the fibreglass ones. Flexy Flares vary a little from manufacturer to manufacturer, however they all work on the same principle. They are a piece of rubber that is extruded into a shape that is slightly curved; see the photos. Usually they have a hole running along the edge, where you can slide spring steel up (to give them the natural curve of your wheel arch). These are usually around $50 – $70 for a pair. They come in a range of widths, but the more common ones are 30mm and 60mm. A lot of people fit these as they are relatively cheap, they look good and if they get hit will just fold in and then back out. However, from personal experience I can’t say I recommend them. The reasoning behind this is essentially the spring steel that comes with them. I fitted the flares on perfectly, with the spring steel cut exactly to length. However, when the temperature gets warm, the rubber expands and pushes the spring steel out one end. To push it back in is incredibly difficult, and even if you can it just seems to move again as the temperatures fluctuate. I tried epoxy gluing it in, cutting it shorter but nothing seemed to work. I kept finding that the flares would curve inwards too much, and they were getting caught on my tyres (which were damaging the flares when you reversed). If you have enough clearance between the tyres and flares this may not be an issue, but I found it a pain. I eventually removed the flares, and replaced them with Bunnings garden edging! 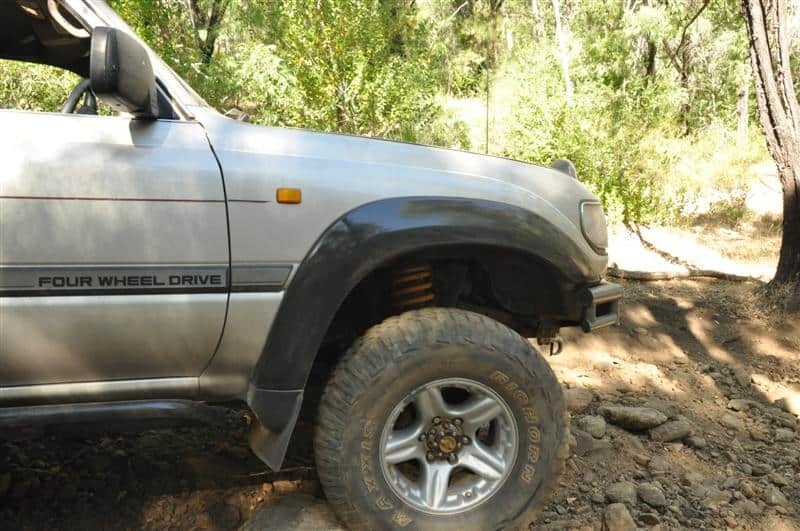 This is the cheapest option for fitting flares to your four wheel drive. Bunnings sell it for quite cheap (from memory around $15 a metre?). It is around 130mm wide, and you can easily cut off the section that you don’t need. Tek screw (or small hex head metal cutting screw) it to the inner lip of your guards, and you are done. Take the time to do this carefully and you will end up with a decent looking flare. If you rush it and don’t take your time expect a very dodgy looking arrangement. The only complaints people have about these is that being reasonably solid if you knock them you will likely snap the screws or damage your guard. 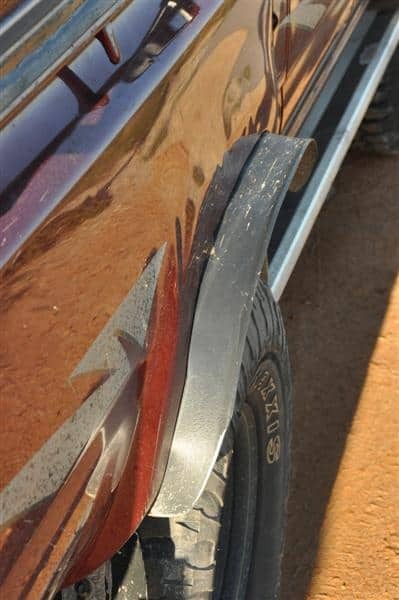 The rear flare on My Hilux – thanks to Bunnings! Personally I don’t really care because I’ve learned to miss sections that put my panels so close to damage anyway, but it may be an issue. I have heard of people drilling holes in their inner lip and then using little (weak) cable ties to hold them there. That way, if you do knock the flares then the cable ties break and you can just put them back on again. If you continue to repair it with screws you will find eventually your inner lips have no metal left, and you can no longer attach them! If you duck into your local Clark Rubber store (shop around too though, as they can be expensive) they have numerous rubber profiles that can be screwed, bolted or cable tied onto your wheel arches. These look good, but are often the same price as purchasing the flexy flare material. If you look from the front (or rear of the vehicle) along where the flares line up, you shouldn’t be able to see any of the sidewall of your tyres. Don’t cut it fine – leave at least 5 – 10mm. This not only protects your vehicle, but ensures that you won’t be a magnet for the police. This is a requirement for having a Legal 4WD. I mentioned above that it is important to take your time with these. Get some decent metal cutting screws, and a cordless drill (or impact driver). Mark it out and measure it twice before you drill any holes. 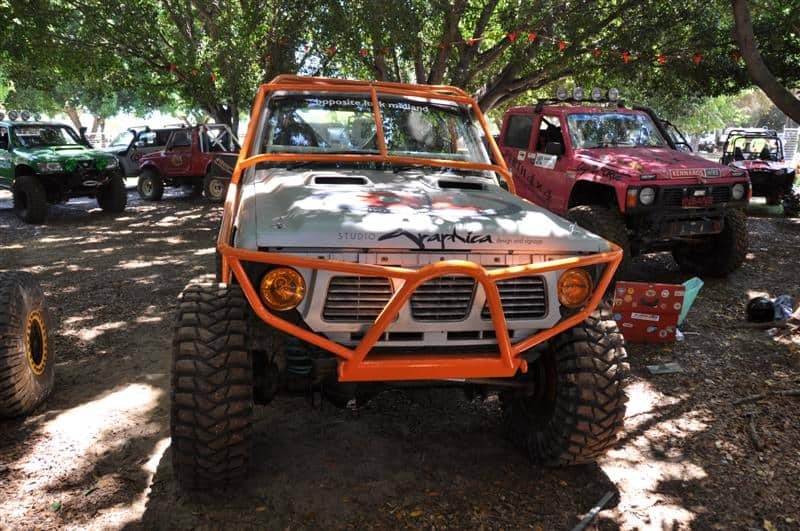 Flares are very obvious on a four wheel drive, and if you rush it you will ruin the look of your fourby. 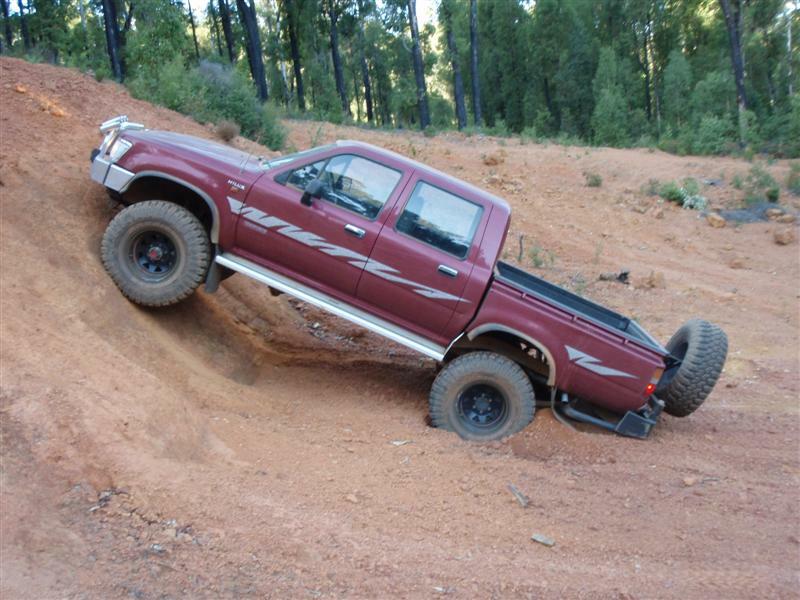 Most four wheel drive shops sell flares. I mentioned Clark Rubber for various profiles, and Bunnings for the Garden Edging. I’d also take a look on eBay as you can often get various options delivered for a bargain! If you have any other suggestions, leave a comment below! * I think to nit pick, it’s actually a _decrease_ in offset that will make your wheels stick out. * I reckon the 76 series factory flares are probably ABS plastic, but I could be wrong. * It might be a good idea if the sidewall isn’t visible, but I don’t think that’s a legal requirement. What I think is a requirement is that the flare extends down to axle level, but this rarely happens. A 76 factory flare does, but all the aftermarket ones pretty much don’t. They usually reattach the factory rubber mud guards and they aren’t wide enough. Don’t think anyone actually cares though. My bad – you are correct regarding the decrease in offset. Not sure about the 76 flares; you could be correct too.